Learning Resources Jumbo Jungle Animals Only $16.56 (Reg. $29.99)! You are here: Home / Great Deals / Amazon Deals / Learning Resources Jumbo Jungle Animals Only $16.56 (Reg. $29.99)! Wow! Right now on Amazon you can get these fun and highly-rated Learning Resources Jumbo Jungle Animals for only $16.56! These would make a wonderful gift idea for an animal fan! Take children on a jungle safari! 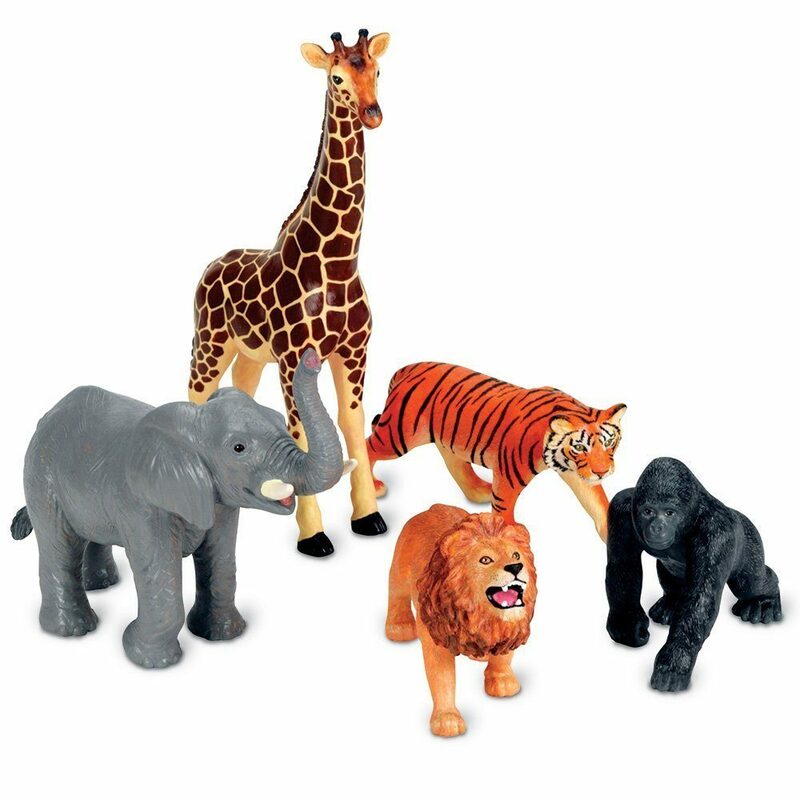 Set of 5 popular animals-lion, tiger, gorilla, elephant and giraffe-all feature exquisite detail. Giraffe measures 9″L x 13″H. Includes Activity Guide. Ages 2+. 5 Pieces.